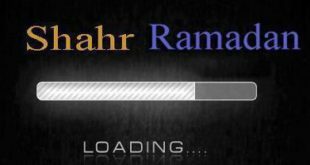 Make this Ramadan the month of “Change”..Are You Ready for it?? “Change” is the vogue today. “Change” is being chanted by the Presidents to rally up public support; “Change” is being demanded by the masses suffering due to skyrocketing fuel and commodity prices; “Change”, a drastic one indeed, is what we are witnessing with awe in the global weather patterns. For Muslims, Ramadan is the prime time for change. This month dramatically alters our routines and schedules. From tight sleep schedules, to hunger for extended hours, to reduction in consumption of junk foods, to a technology diet; to withdrawal from caffeine addiction, to lengthy standing in Taraweeh prayers at night, to extensive listening to the Quran. What a change indeed. “Allah has no interest in any person’s abstention from eating and drinking, if that person does not give up lying and dishonest actions” (Sahih al-Bukhari). 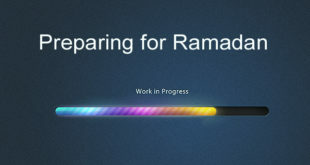 Every Ramadan we make resolutions and tell ourselves: “This Ramadan will be different. I’m going to change my ______ habit.” “I will give up ………”, “I will take my practice of Islam to the next level”. But how many of us are really able to follow through? Plenty of good intentions, many amazing wishes, but sadly enough, life goes on as usual the morning of Eid. However, the good news is, Ramadan offers a perfect and natural environment for moral training. Interestingly, researches from “positive psychology” (scientific study of successful people) have repeatedly shown it takes between 30 to 40 days to kick a bad habit and develop a new one. “Fear Allah wherever you may be; follow up an evil deed with a good one which will wipe (the former) out, and behave good-naturedly towards people.” (Hadith-At-Tirmidhi). 8. Exercise: Spiritual exercise is important for lasting change. You may not realize that by exerting your yourself in spiritual exercises like the reading of Qur’an and Hadith, fasting, giving charity, Zikr(remembering Allah),Spending time in the Path of Allah etc helps in eliminating a number of bad habits. Through the spiritual light of doing noble deeds, evil ones will gradually be eradicated from your life. Allah says : “Indeed, Salah restrains from Shameful and unjust deeds” (Quran:29:45). 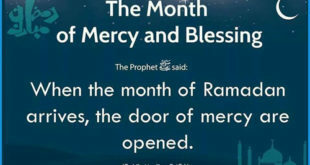 A person complained to the Prophet Muhammad (peace be upon him) about someone who read salaah and also committed theft .The Prophet Muhammad (peace be upon him) said “His salaat will very soon wean him off that sin.’ This shows that the evil habits can be got rid of by adhering to good practises. The doing of good deeds such as remembering Allah cleanses the heart. A clean heart encourages a person to do good deeds and refrains one from evil habits! 11. Get help: Tell someone about your effort to change if it helps. He or she may keep you on track and may offer some good advice. Read books that will encourage you to do virtues actions. Join the various (amaal) programs in your local Musjid. Ladies should endeavor to join their local Taalimi Halqas. There are good and sincere people who are ready to assist. We are not an island- We are an Ummah! 12. Boost your spiritual immune system: By fasting,doing good actions,Itikaaf(seclusion), spending time in the Musjid with the pious friends of Allah or going in the Path of Allah will boost your Imaan which will provide you with internal strength to overcome temptations to reverting to old bad habits. 14. Resolve to continue on and follow up: Giving up bad habits or learning good habits requires regular maintenance and determination. It is a long, ongoing process, also known as “Tazkiyyah” in Islamic terminology. It’s more difficult than the first few steps of change. (“How many times have I dieted, for example, only to gain the weight back?”). So ensure that you follow up. Link yourself to a good Allah-fearing Islamic Scholar, make a habit of spending time in the Path of Allah and constantly engage in noble and charitable work. So surely you Can do it!! !…Just Trust and Pray to Allah and make that great change this Ramadan!